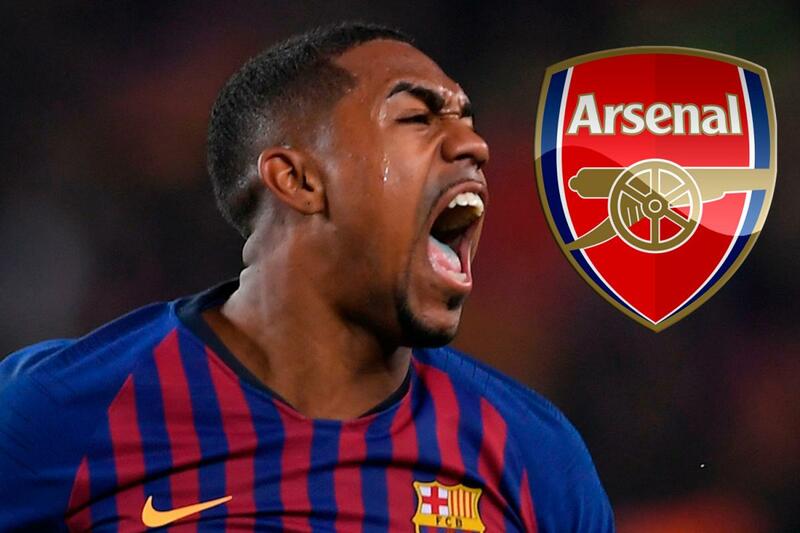 Arsenal have reportedly been warned they must pay £60million to sign Barcelona flop Malcom this summer. Marca claims the Spanish giants are open to selling their young winger after his underwhelming debut season at the Nou Camp. Malcom joined Barcelona from Bordeaux last summer in a deal worth £35m, just hours before he was due to sign for Roma. However, the 22-year-old Brazilian has featured just eight times in La Liga, scoring zero goals. And Barcelona will sell for the right price as they look to land Atletico Madrid ace Antoine Griezmann in a £100million swoop. Arsenal are reckoned to still be interested in Malcom after trying to sign him on loan in January. But Unai Emery had to opt for teammate Denis Suarez instead as he was available for a smaller free. North London rivals Tottenham were also keen on signing the forward this winter. But they too were unhappy with Barcelona’s demands. And it seems unlikely that either one of them will be eager to now pay £60m to take Malcom on a permanent deal.